Say hello to our new resident baldies. We’re super proud of Team Leader Rhom and our Programmer Steve, who have, in the past week, both taken the plunge and shaved off their hair. In an event that turns 20 years old this year, World’s Greatest Shave put on another awesome March month of freshly bared heads. Rhomaney said that she’d been thinking about shaving her head for a while after living pretty much her whole life with long hair. 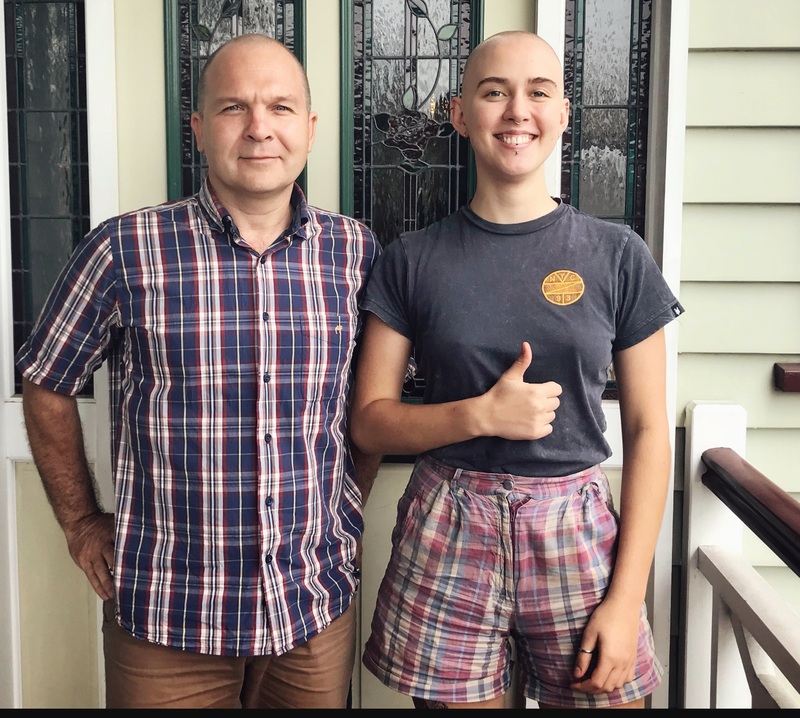 “I decided to sign up to World’s Greatest Shave and get sponsored to raise money for the Leukemia Foundation which is a great cause,” she said. Rhom’s actions inspired Steve Voykin who works in the programming area. To show his support for Rhom and her fundraising, he shaved his own head. Rhom is still collecting donations, with the current tally being $2500+ — an awesome effort for an awesome cause. When speaking about the drastic change, Rhom and Steve both said their respective shaves have saved them time and shampoo! According to Rhom, the only drawback is that the aircon has a little more bite to it — now Rhom brings her beanie as well as her brains to the office. The new ‘dos have certainly garnered a lot of attention, which is, of course, the point. The World’s Greatest Shave is more than just an avenue to raise funds, it’s a visible form of support for those who haven’t chosen to lose their hair, and also a great conversation starter to raise awareness. Take a look at the pictures to see the transformation for yourself.